Leave a big impression on the fashion world with Viva. Are you looking to hold a spectacular bridal fashion show or Wedding Fayre? Do you want to host a fashion show which will make you the talk of the town? We’ll help you put on a show which will wow your guests with a classy catwalk show with sparkle and style. 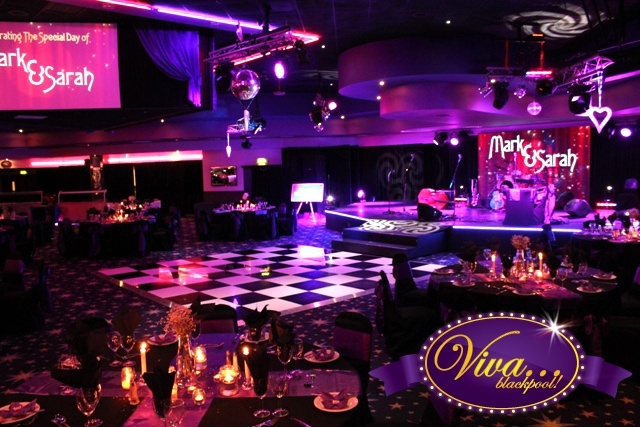 Our venue is the one everyone is talking about in Blackpool, so take a look at what we have to offer. With a purpose built stage, catwalk and technical team, we can go way beyond the norm to dazzle attendees. We specialise in the going the extra mile with custom on-screen graphics, lighting, reception areas, and flexible room ready to theme or decorate to your project. Of course, you shouldn’t take only our word for it! Have a look at the testimonial we received from Angels Elite Models for how we put on a big show for a major annual event. Your guests will be relaxed in their surroundings as we look after each and every visitor, leaving your guests to focus on what is important – your show. So talk to us on 01253 297 297 and we’ll do everything in our power to put on a show which you’ll remember for years to come! So do you want to celebrate in style? Speak to us for more details! You can call us on 01253 297 297 to discuss your plans in more detail, or you can drop us a message on our online contact form for further information.